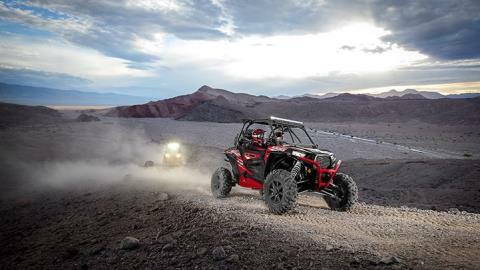 Industry Leading Ground Clearance and Wheelbase- The RZR XP 1000 Desert Edition is built upon a 90-inch wheelbase and 13-inches of ground clearance. The chassis and suspension combo smoothes the harshest terrain without unwanted chassis pitch; and delivers unmatched control and comfort without sacrificing agility. 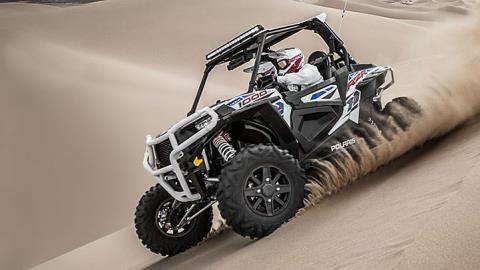 Giving you our legendary razor sharp handling even in the most challenging terrain. High Performance on Demand All Wheel Drive System- The On-Demand True All-Wheel Drive System is revamped with an 80 percent improvement in strength over the standard system. 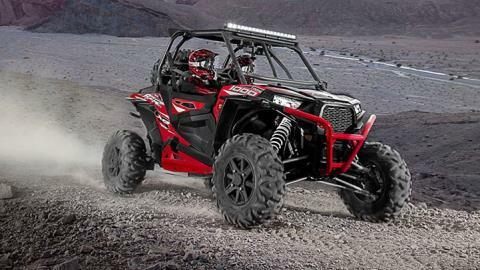 The result is the most durable front drive system ever found on a RZR. 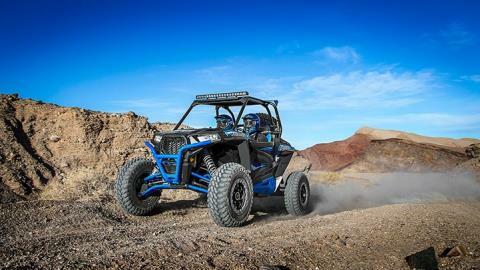 The system features a brand-new, close ratio final drive to keep the front wheels pulling stronger and longer maximizing power delivery to the ground on even the loosest terrain. The reduction provides increased traction without sacrificing steering effort to provide unmatched point-and-shoot handling. 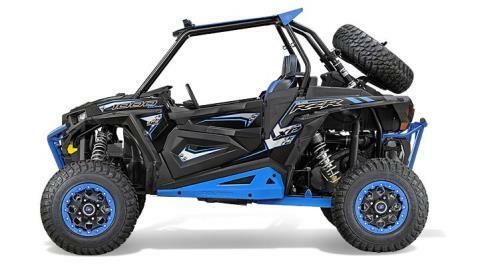 Standard Electronic Power Steering- Revised front suspension geometry and standard Electronic Power Steering (EPS) results in less steering effort and delivers the ultimate in control with reduced rider fatigue. Polaris Interactive Digital Display The most advanced interactive display on the Market, the Polaris Interactive Digital Display offers a sharp full color screen and loads of functionality. Map your ride or download existing routes from RiderX.com trails app. Toggle through vehicle displays, like speed, tach and odomoeter, and communicate with your mobile devices via bluetooth. Factory Insalled Full Doors It’s now easier than ever to get behind the wheel of a Polaris RZR thanks to factory installed full doors and their spacious curved design. The doors feature an easy to access latch and striker assembly for one-hand operation; arched mid-point design for greater cockpit space and elbow room inside and bolster protection from debris on the outside. Premium PRP Seats And Integrated Click 6 Harnesses Sporty, racing-inspired color matched PRP® seats provides outstanding support and comfort for the most aggressive Polaris RZR XP 1000 drivers. 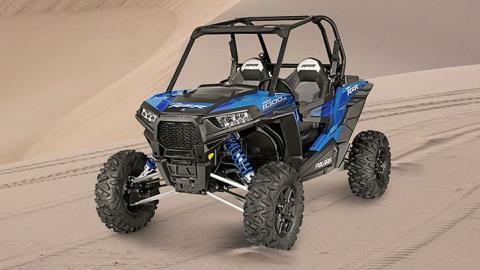 This adjustable RZR seat has side bolsters for extra support and conform nicely to the innovative NEW Click 6 Six Point Seat Harnesses with retractors for the ultimate in security and comfort. 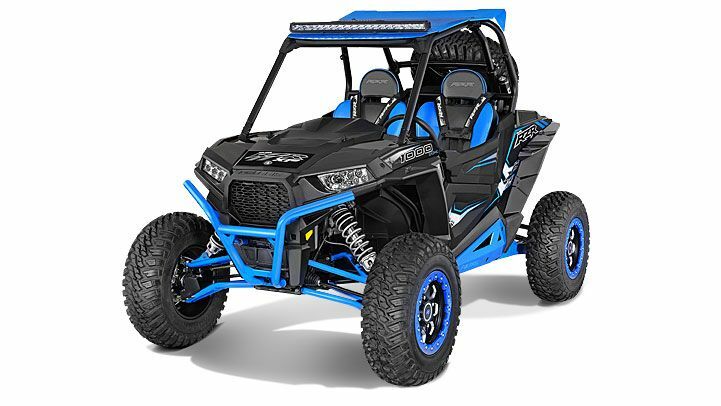 Additional Factory Installed Features- Additional factory installed features like a spare tire carrier with spare, 35" Polaris Engineered Light Bar, Lock and Ride Rear Cargo Box, and Full Coverage HMW Skid Plate. 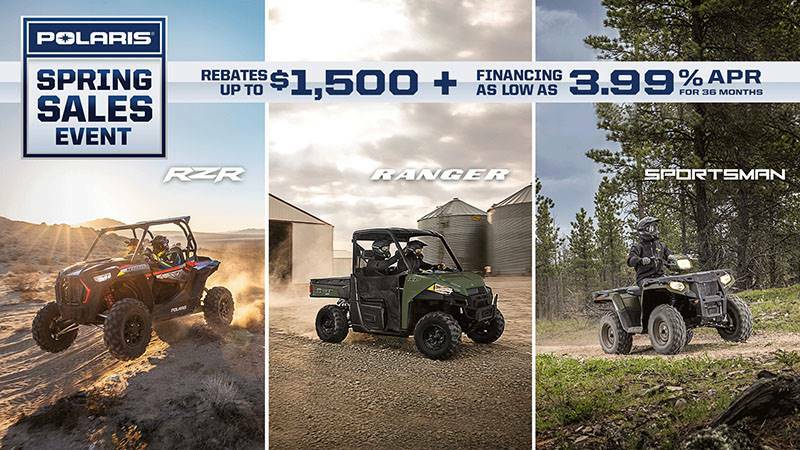 999CC ProStar® EFI Engine- Designed specifically for extreme performance, the Polaris ProStar® 1000 engine features 999ccs of big bore twin displacement and all of the hallmark ProStar® features. 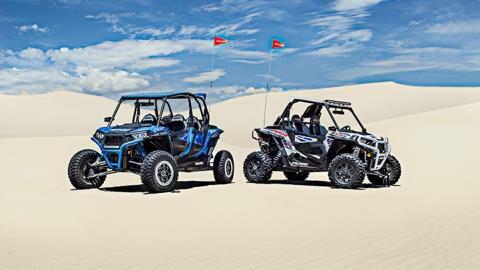 This includes dual overhead cams, electronic fuel injection, and 4 valves per cylinder. It also features 48MM throttle bodies and long-tip fuel injectors giving the 2015 RZR XP 1000 Desert Edition instant throttle response, quick to rev characteristics, and the highest horsepower in the sport SxS market. High-Flow Clutch Intake System- We've completely re-designed the clutch cover, secondary helix and ducting system to offer the most durable clutch system ever on the RZR XP 1000. New ducting provides twice as much airflow and decreasing belt temperature by over 50 degrees. 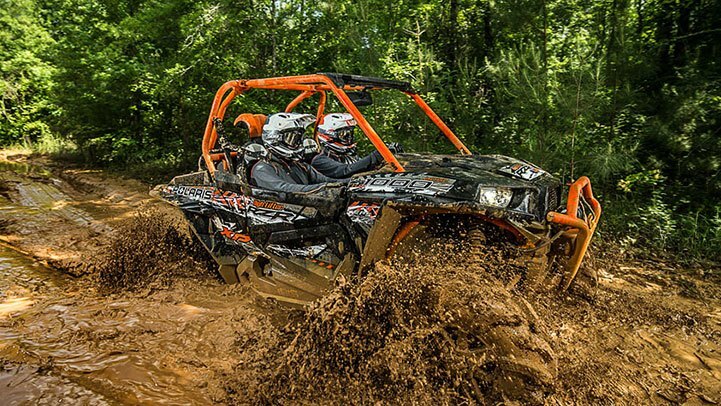 Near Bottomless Feel with Exclusive Walker Evans Shocks- Industry-exclusive Walker Evans needle shocks deliver next level performance and tuning capabilities. Aside from the ingenious anti-bottom needle technology, the 2.5-inch diameter rear shocks feature tool-less 16-position compression dampening control, allowing you to tune for the perfect ride for any condition. 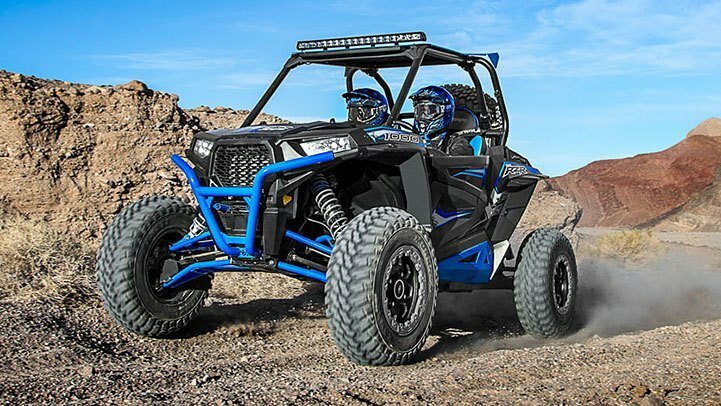 The Most Advanced Suspension For Most Control and Smoothest Ride- The new race-inspired 3-link trailing arm rear suspension serves up an incredible 18-inches of rear wheel travel. 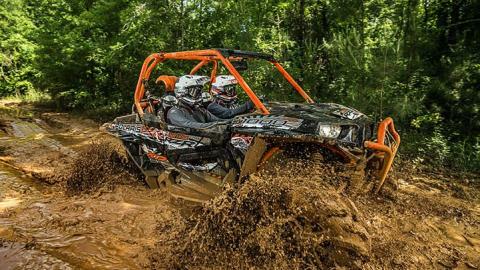 Matched to an astounding 16-inches of front suspension travel and 13-inches of ground clearance, the king of the RZR family conquers the worst terrain Mother Nature has to offer.